A dry socket is something that happens when the gums and bone don’t heal properly after you have a tooth extracted. When a tooth is removed, a blood clot is supposed to form in the empty space. If that blood clot is disrupted or never forms, the socket can dry out and leave the bone and nerves exposed. 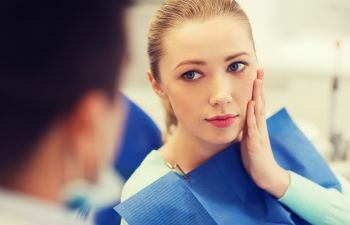 Dry sockets are not a common oral surgery complication in our South Bay office, but the risk is something to be aware of. How do you know whether you have dry socket? Here are the signs to look for. Extreme pain at the extraction site a few days after your procedure. Sharp stabbing pain several days after an extraction is a hallmark sign of dry socket. It’s different from any ache you feel immediately after surgery. Foul odor and/or taste coming from the extraction site. A dry socket traps all kinds of bad-smelling bacteria, food debris, and tissues. You can see the bone in the extraction site. If you’re able to examine the extraction site in the mirror, you may notice that it looks like a hole in your gums that goes right down to the bone. A healing socket will be filled with jelly-like, red tissue. Dry socket lacks that moist healing tissue, so the bare bone is exposed and visible. Are You at Risk for Dry Socket? If you have a dry socket after tooth extraction, just call Torrance Oral Surgery. We’ll carefully clean the site, dress the wound, and help relieve the pain. Dry socket is easy to treat, but you can prevent this painful complication by discussing your risk with oral surgeon Dr. Yagoubian.